Use these sources to learn about the ways people from the British Empire and its colonies interacted with each other during the First World War. 1. How did people from different countries serve with each other? Enlisting for war and traveling to the front meant troops met people from other countries and backgrounds. 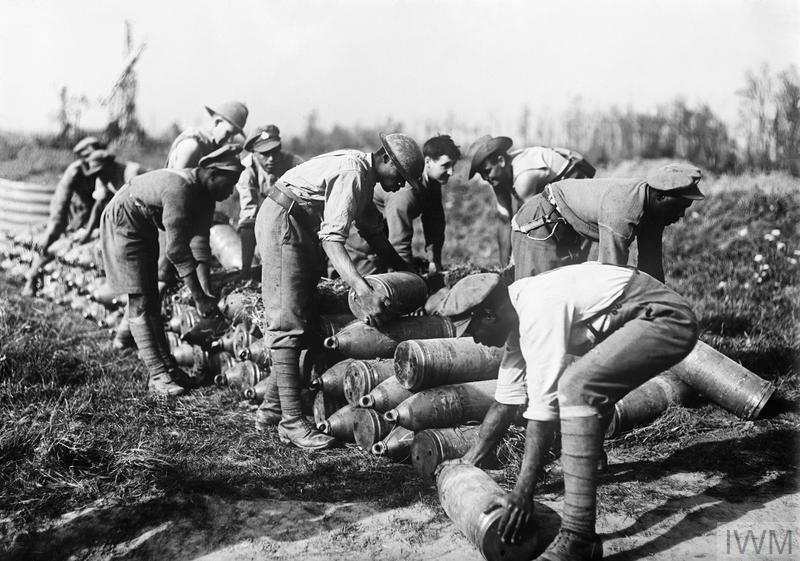 This photo shows men from the West Indies, Australia and New Zealand stacking shells near Ypres, Belgium, in October 1917. Although it looks like the men are working closely with each other we do not know how or why the photograph was taken. As the war brought servicemen of different nationalities together, they inevitably formed impressions of those they served with, regardless of how closely they worked together. Not all the men who enlisted for the British Empire were soldiers. The army needed labour to support the work done by the fighting units and it was key to the war effort. The British Army recruited 140,000 men from China to work as part of the Chinese Labour Corps on the Western Front. 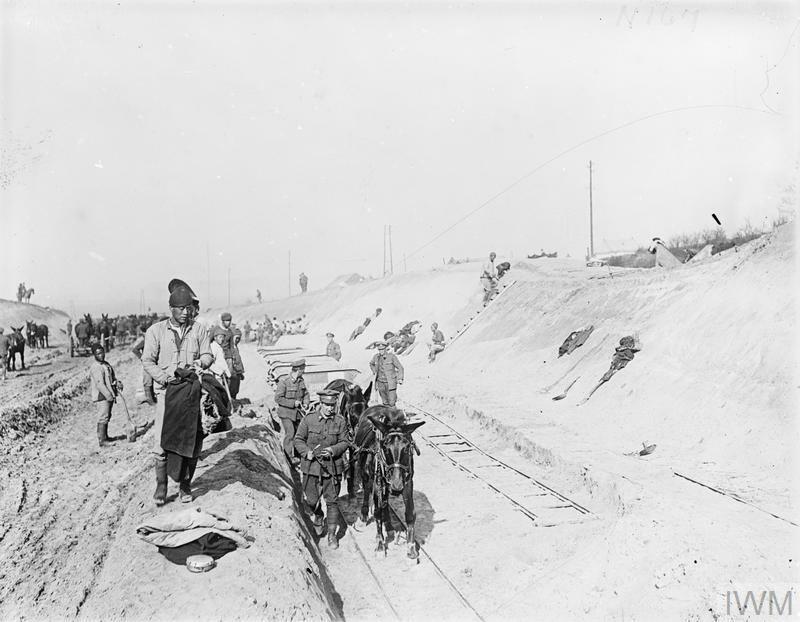 In this photo, taken in Northern France in 1918, Chinese labourers and Canadian soldiers can be seen working together. Around two thousand Chinese workers lost their lives in the war; the precise figure is not known. 2. What were the other ways in which people met each other? Troops from all over the Empire travelled to new countries and met new people. Fighting took place in the Middle East and Africa as well as Europe. The men had some time to explore the new places they were sent to. 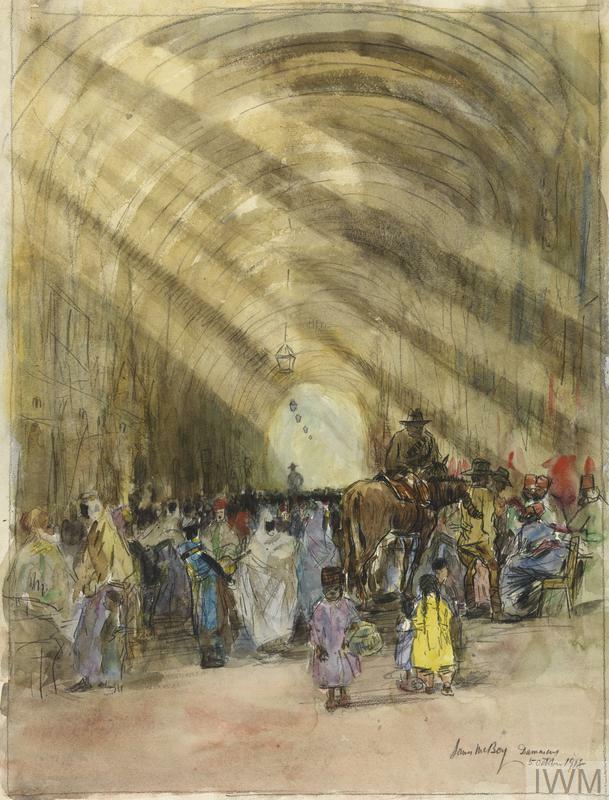 This painting by James McBey, a war artist, shows Australian soldiers visiting a market in Syria in October 1918. Soldiers met civilian women from the countries they visited during the war. Sometimes women who had been widowed by the war or whose husbands were fighting would provide food and hospitality for the men. In exchange, the men would do odd jobs around their houses or farms, building up friendships and experiencing a taste of home. 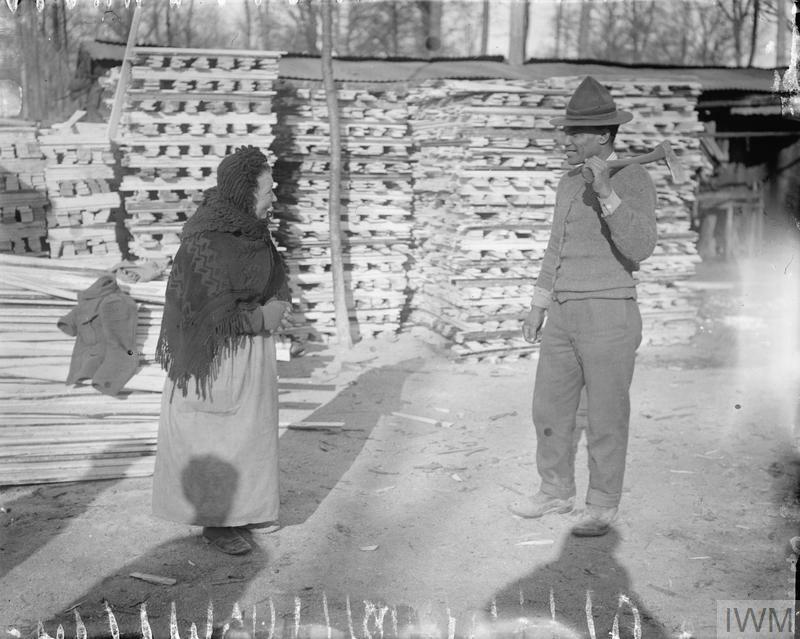 Here a French woman and a Maori tree cutter, wearing the distinctive New Zealand 'lemon-squeezer' hat, exchange a few friendly words. As well as adult civilians, troops also came into contact with children in the countries where they were serving. In this photograph, an Australian and New Zealander are seen with two small children on the Greek island of Lemnos. 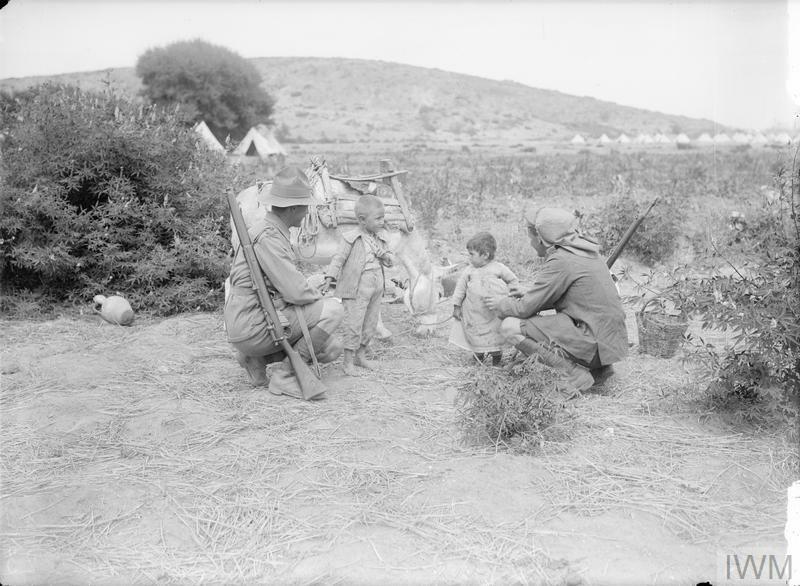 Troops often played with local children and gave them treats, perhaps thinking of their own families. 3. How did troops practise and share their religious traditions? Religion, faith and rituals were important to many of the troops. It was a way of escaping, or lessening, the trauma of the War. The men often had a religious leader who served with them and led services. Due to the massive scale and geographical sweep of the War, this could happen in unusual places. 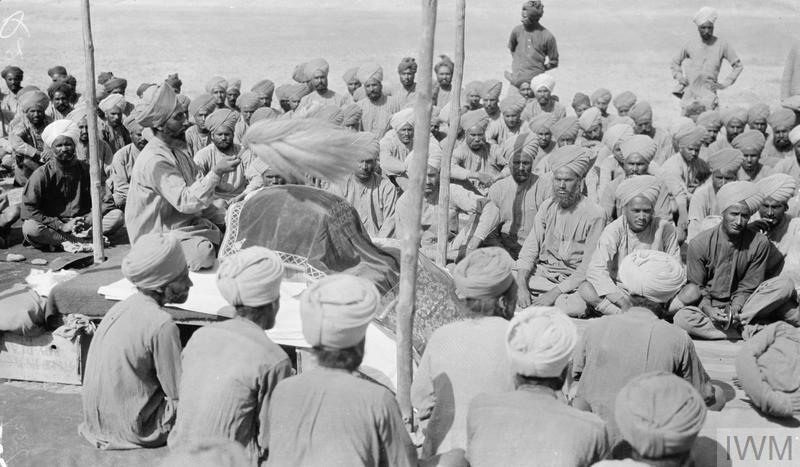 This photo shows Sikh infantrymen attending a Diwan on campaign in the deserts of Mesopotamia in 1918. Practising religious traditions could mean visiting new places of worship in the lands the men were sent to. 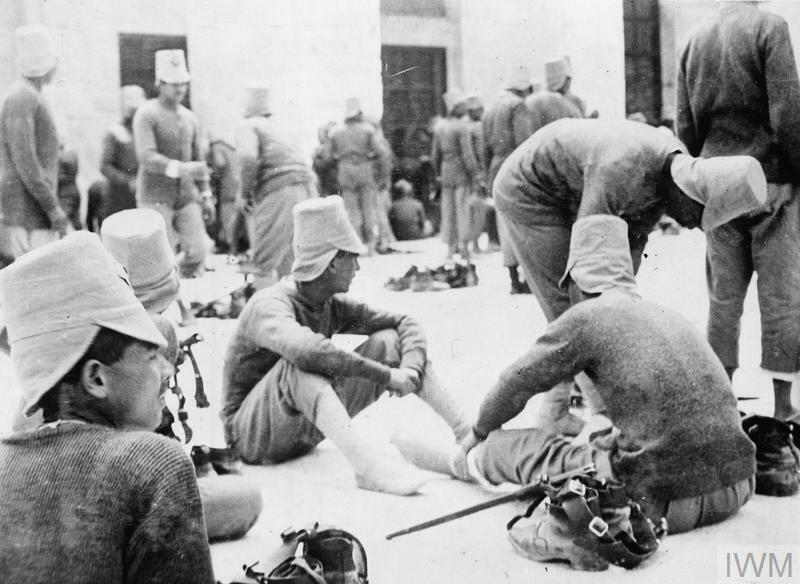 In this image, men of the 1st Egyptian Infantry Battalion remove their boots and side arms before entering the Mosque el Aksa, in the Haram Esh-Sherif, the Old City of Jerusalem on 12 April 1918. Religious traditions and rituals were a key way of marking the death of serving troops, offering a link to home and family when far away. 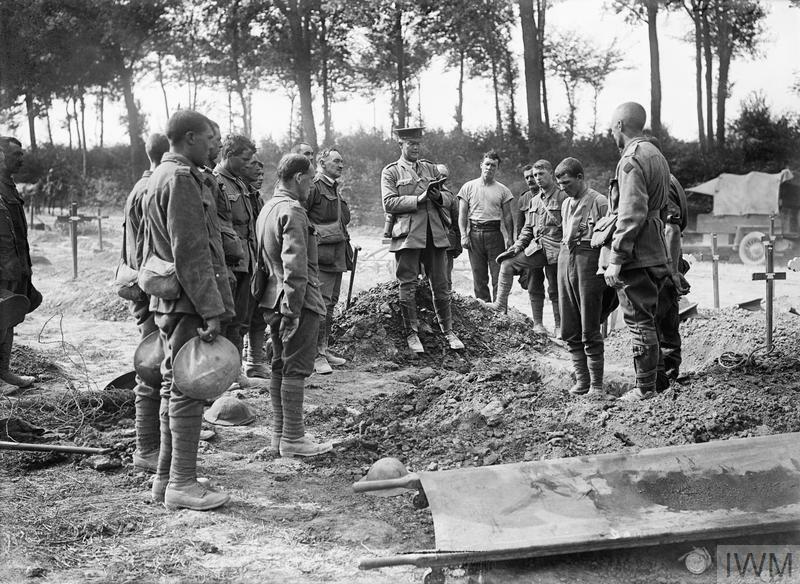 Here, ‘other ranks’ stand respectfully to attention as an officer reads from the Bible at the funeral of an Australian soldier, at Becourt Wood, on the Somme front, August 1916. 4. How did people entertain themselves? War was not all work and during their leisure time troops enjoyed participating in entertainment and sports. These moments of freedom also offered opportunities for sharing traditions from home. 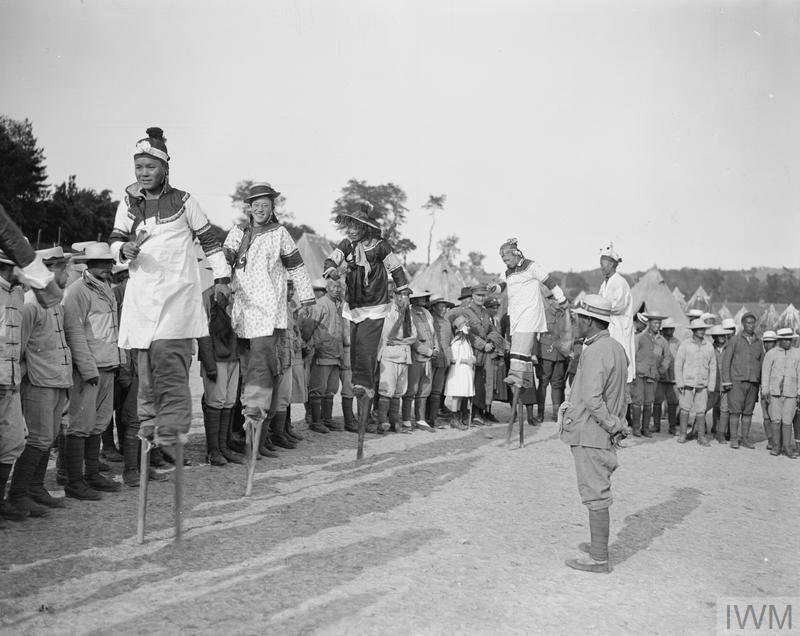 In this photograph, men of the Chinese Labour Corps display both their skills in stilt walking at their camp in France in May 1918. In the background, you can see a little girl watching. She was probably from the local area. 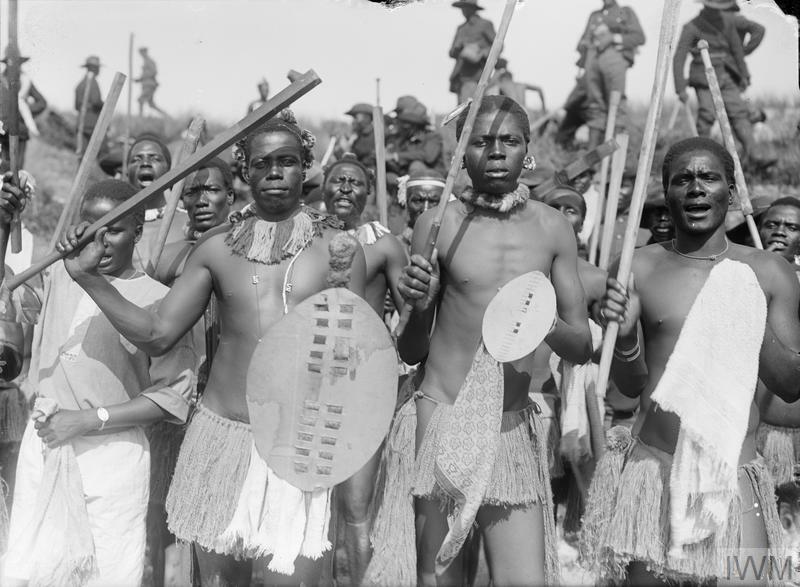 This photograph shows men from the South African Native Labour Corps who performed a Zulu war dance at a sports day at Dannes, France in June 1917. These troops were labourers and were not allowed to fight in the war, but as inheritors of a proud warrior tradition they were encouraged to perform their traditional war dance. This gave an opportunity for these men to celebrate an element of their own culture, specifically aligned to personal combat and warfare. Concert parties or pierrot troupes were popular sources of entertainment during the first half of the twentieth century, performing musical numbers and comedic sketches. During the war, individual formations – Divisions and Brigades - often had their own Pierrots, like these of the 4th Australian Brigade at the 15th Australian Brigade Sports at Bois de Mai, Cardonnette, near Amiens, 8 June 1918. Such acts were massively popular with the troops, as they provided a welcome distraction from the hardships of active service. Team Sports were important during the war. They kept the soldiers fit and active, and were a great way of improving morale. It was also an activity that could bring different nationalities together, with sporting competitions between different battalions displaying their sporting traditions and abilities. 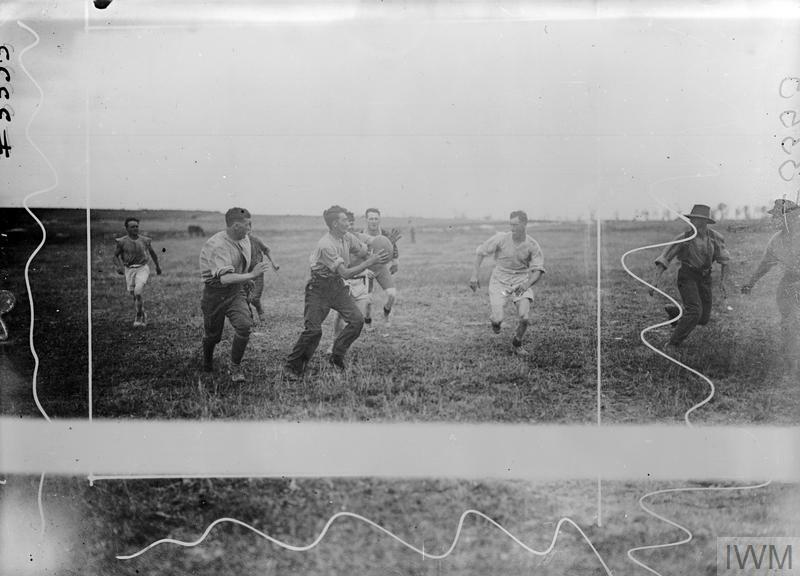 This photograph shows Australian soldiers of the 59th Infantry Battalion playing rugby in France in September 1918. 5. What did people eat? The troops brought their own traditions to the war. These were reminders of the lives they had left behind. It let the men connect to their homes. It could be as simple as food. 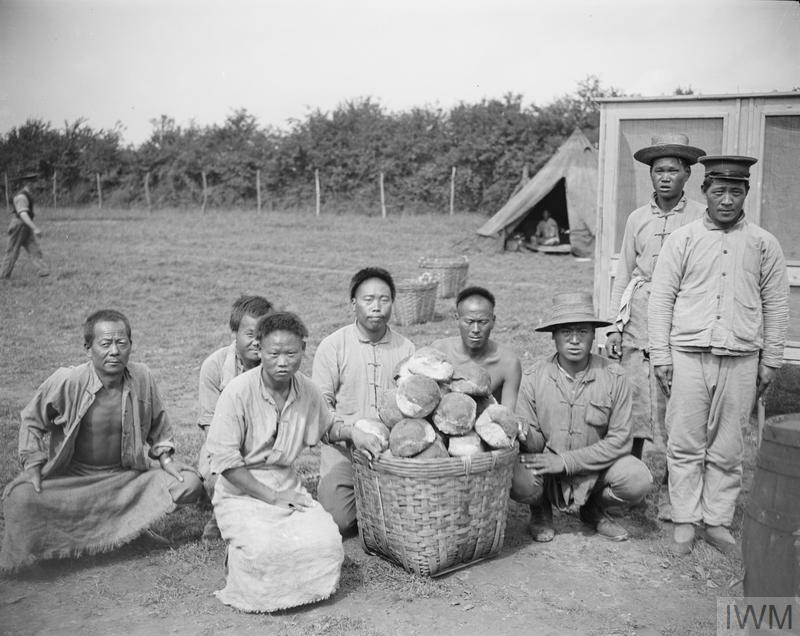 This photograph from July 1917 shows men of the Chinese Labour Corps displaying the loaves of special bread they made in their own bakery. Eating traditional meals cooked in traditional styles built a sense of community amongst the serving men and were also an intimate reminder of home. 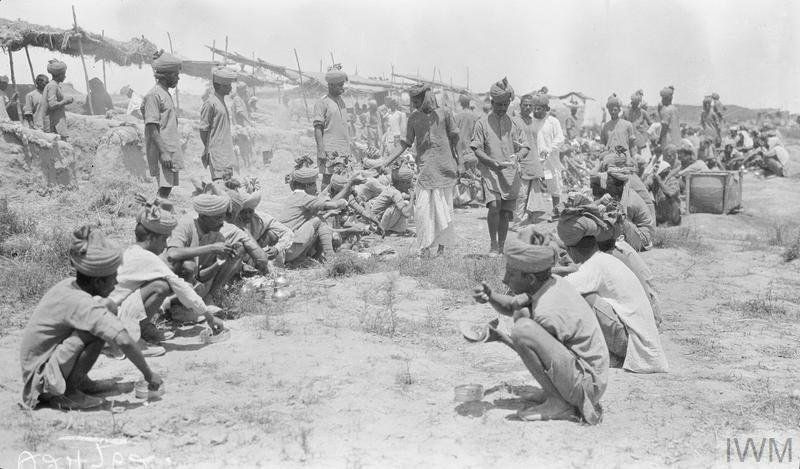 Here, Punjabi soldiers at the front have their meal. Anna Maguire is a Collaborative Doctoral Partnership student based at King's College, London and Imperial War Museums.